I would like for you to imagine a garden. In this Garden the soil is rich with nutrients and whatever you plant, it will grow. There’s always plenty of water available and sunshine is abundant. You can plant anything without restrictions. You can plant the most beautiful flowers or the most noxious weeds. You can plant delicious vegetables and fruits or deadly poisonous Nightshade plants. The tiny seeds eventually grow into something much bigger. The garden is your mind and the seeds you plant are your thoughts that turn into words or actions. Your mind is a fertile place for the thoughts you plant will grow and make up what your life is currently. Like that old verse from the Bible goes from the book of Proverbs 23:7 as a man thinketh in his heart so is he. Your thoughts, your emotions, and your convictions manifest the surrounding reality. You are where you are right now because deep down in your heart this is where your thoughts, emotions, and desires got you no matter how sad or unfair this may sound. This principal is one of the oldest spiritual laws in existence. You become what you think about. You can find this principle in all of the world’s religions. Some variations of this exists in Hinduism, in Buddhism, and in basically every other major religion. It’s as much of a universal law as gravity is, and long before books existed wise people knew this and understood it. It works on two different levels. First your mind is connected to the universe on a Quantum level. We manifest what we really believe deep down in our heart. You don’t always manifest what you think you believe because what you really believe deep in your heart is often times subconscious level. So if you on a subconscious level believe you deserve sadness unhappiness and pain then no matter what you say that’s what you will get. A lot of people believe they have positive thoughts when their inner voice is always negative and self-destructive. And that voice is the one that will win and perhaps this is why the Law of Attraction fails for so many people because they’re trying to grow trees of prosperity and success while planting the weed seeds of doubt, misery, pain, and bad luck. It cannot work this way. You get what’s actually deep down in your heart the universe will manifest that and what’s in your heart is truth and we don’t always know this truth. Life doesn’t give you what you intended. Life gives you what you ask. And while a lot of people intend for wealth, joy, and happiness their actual thoughts are of misery, poverty, bad luck, and despair. Because this is what they’re planting and this is what the universe is manifesting for them. Your thoughts lead to beliefs and your beliefs lead to actions and your actions lead to outcomes. And your outcomes leads to your destiny. The thoughts that you allowed to germinate in your mind will determine how you act, on a level that is so subtle you cannot even perceive it. And who you are is the result of the thoughts that you let sprout. It’s hard to realize this or keep track of this as it’s on the same level of breathing. We don’t consciously keep track of our breathing we just do it. You only realize your breath if you pay attention, and you realize your behavior and where it comes from only if you analyze it. Everything you are comes from the thoughts you’ve planted in your mind and then let them grow into a plant and become a part of you. So when you plant positive thoughts you get positive results. When you plant love, happiness, and peace. your behavior will reflect love, happiness, and peace. And this will create those things for yourself and others. When you plant thoughts of prosperity and wealth your behavior will create wealth and prosperity in the world. Just think of this like the driver of a big bus. The bus is huge, carries a lot of passengers and weighs many tons. Yet you will find just one driver in the driver seat controlling this big machine. Even if your behavior is infinitely complex there are just a few thoughts that control all of it and when you replace those thoughts Everything Will Change for You. The thoughts that you plant will both manifest reality as in creating rally itself and will also shape your behavior to create the results that you want. Both are very important. The world is a fifty-fifty place. The universe can manifest the opportunities you need at this moment but you have to still take advantage and take action. If luck knocks at your door you still have to open the door. It’s like the story of a fisherman caught up in the flood storm. His boat is sinking and desperate he prays to God. God please save me I will be good I’ll repent just save me. A few minutes later I bought shows up. Hi there do you need any help to Good Samaritan asks him. No no God will save me the fisherman answers. Confused and perplexed to save your leaves. 10 minutes later the same thing happens another boat shows up. They offer to help him and the fisherman refuses saying that God will help him. Eventually the boat sinks he dies and goes to heaven. And they’re face-to-face with the God he asks God why did you leave me there to die I pray to you and I promise I repent for my sins. God looks at him and says what are you talkin about I sent you two boats. This is a joke story but this is how life works too. We manifest opportunities but we have to take advantage of those opportunities. If you are real estate agent you want to close a big deal your thoughts will Manifest this opportunity. The universe will align people places and circumstances for this to happen. These places people and circumstances will come to you and your living room. You have to still act and do something. The universe is like a tree that offers you the fruits that you need in infinite abundance but you still have to grab those fruits from the tree. It all starts with your thoughts and with your beliefs. Make a commitment now to fill your mind up with positive thoughts. And make a commitment to only think thoughts of love, joy, and wealth. At first it will be hard. If you’re used to plant only poison in your mind it will take a while to take out all those nasty weeds and thistles. But once you do you’ll notice something incredible happening. You will see how you will start to walk into the right circumstances. You will find yourself in the right places at the right time to get what you want. How can you do this? Manifestation magic contains hidden NLP commands which act of seeds to plant in your subconscious mind. NLP is a very powerful technology built around the best schools of psychotherapy and hypnosis. 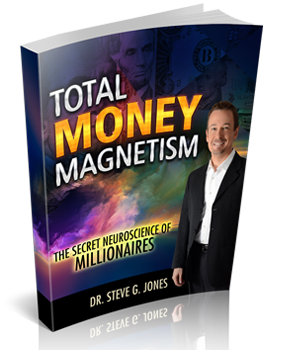 It allows you to program your subconscious mind planting seeds into the fertile ground of your mind and heart. This means that you can listen to these tracks before going to sleep and change what you think putting no effort into it at all. Manifestation magic always contains the best of brainwave entrainment what trains your brain to operate at a higher frequency and is built around the solfeggio scales, tones that will heal you and help you manifest miracles in your life. 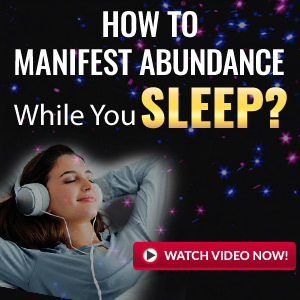 Click below now to discover how manifestation magic can help you plant better thoughts a prosperity and wealth and success until your mind and the Manifest the life you deserve.